Use the clip to hang the take-along koala toy on your baby's infant seat, stroller, or crib for on-the-go and indoor fun. Hold the Belly Koala at a distance of 10-12 inches from your baby and give her some time to try and focus on its features and distinct patterns. 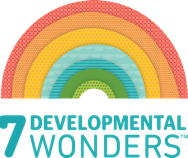 Let baby enjoy the toy independently, attempting to rattle the beads in the spinning ball and exploring the crinkly fabric. 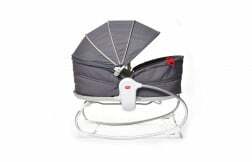 Use to amuse baby and help extend tummy time. 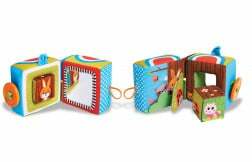 While on her back, offer the toy to baby and let her practice those developing grasping skills and hand-eye coordination by attempting to spin the ball with her finger. 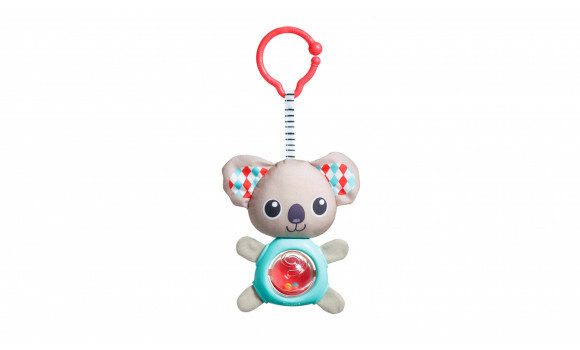 Small enough to take anywhere, the Belly Koala stimulates your baby to use her fingers and hands in a variety of ways, thereby helping develop her fine motor skills.